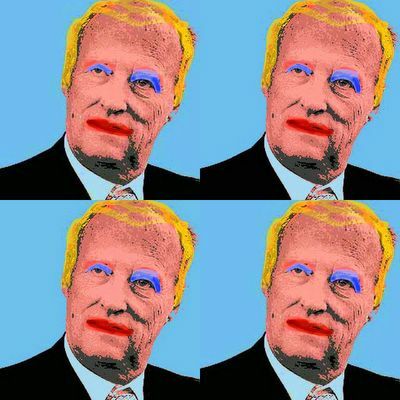 King Harald, King of Norway as Andy Warhol would have portraited him. Our Queen Sonja was actually portraited by Warhol in his famous polaroid-to-silkscreen-technique, and I got the idea for this image when reading a book about the artist. I thought it unfair to our king that only the Queen should be portraited. So I made this, based on the colors of one of Warhols best known portraits of Marilyn Monroe.